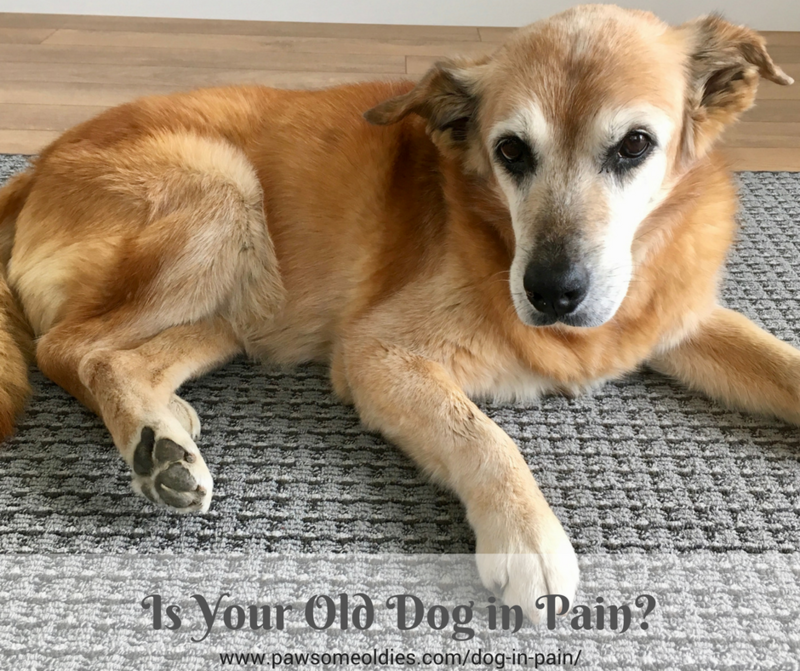 Is your old dog in pain? How can you tell one way or the other? As we age, we are more prone to aches and pains in the body. As dogs get older, it’s more likely for them to develop health issues, some of which can cause pain – sometimes severe. Dogs are generally more stoic than humans, and they don’t usually vocalize pain like we do, unless they are very much in pain, in which case they may yelp, whimper, or even howl. More often than not, we don’t know if a dog is in pain unless we pay careful attention. The first half of this post is about how to recognize the body language and behavioral cues that dogs use to tell us they are in pain. 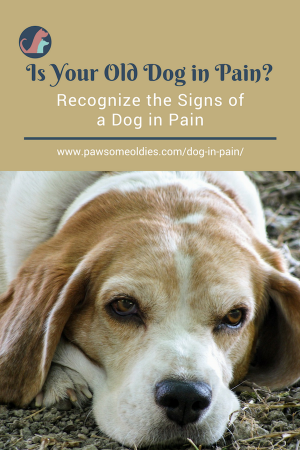 The second half of this post looks at some possible causes of pain in older dogs. If a dog has limb pain, then it is easier to notice. 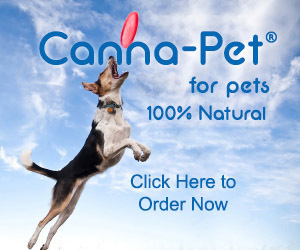 A dog who has pain in any of his limbs may sit in a funny way, or avoid sitting altogether. His body may be shifted to one side. He may favor one limb. One leg may be tucked under – usually the sore leg is the one he will lie on. The dog may have difficulty getting up from a lying position. Also, he may become restless – he may seem unable to settle down comfortably – so you may notice that he changes his position frequently. He may lie down for a short while, then get up, turn around, and try to lie down in a different position numerous times. When he is outside, you may notice that his gait is stiff and he may be walking in an abnormal way. Or he may be walking slower than normal, or even have a limp. He may not be able to finish a normal walk – he may just stop, or choose to lie down in the middle of the road! Yes – dogs suffer from headaches as well, and sometimes the signs are a bit subtle to be noticed. Usually, you will see a change in the dog’s expressions. His ears may be pinned backward, and he may have a worried look and a vacant stare. He may rub his face and head with his paws, or rub his head on the carpet or against the sofa. He may also shake his head and pant. At night, he may be unable to settle down and go to sleep and may start pacing. If the headache is severe, he may also start drooling. If a dog has a stomachache, he may stand with a tucked tail, a hunched back, with his head and neck lowered. He may also drool excessively. If your old dog has pain in the mouth, due to problems such as a broken tooth, or periodontal problems, or worse, a cancerous growth in the mouth, you will notice that your dog drools excessively. She will probably have bad breath, and she may refuse to eat because of the pain. There are unfortunately a thousand and one possible reasons that may cause pain and discomfort in our senior dogs. Osteoarthritis can most definitely cause joint pain and lameness in older dogs. According to Dr. Schulz (author of The Pet Lover’s Guide to Canine Arthritis and Joint Problems), as much as 90 percent of elderly dogs have one or more joints affected by osteoarthritis. I have written a collection of posts on arthritis in old dogs. Please check out the information in more detail here. Older dogs (aged 9 or above) are also prone to hypothyroidism. One symptom of this endocrine disease is sore limbs and lameness. She was limping so badly that she couldn’t even get down the stairs and going for long walks was out of the question. However, once diagnosed and hormone treatment began, the limping and soreness went away in a matter of days. Older dogs, especially small dogs and those not receiving any home dental care, are prone to develop gum disease. That could cause a lot of pain, and when that happens, the dog may drool excessively, have bad breath, be reluctant to eat, and be generally in a very bad mood! Older dogs also have more digestive issues, such as indigestion, gastritis, IBD, etc. As their activity level goes down, some older dogs may have chronic constipation. All these can cause tummy discomfort and pain. 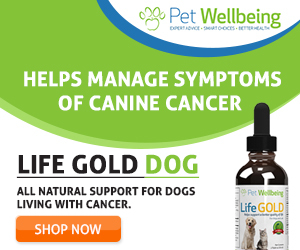 We all know that cancers can cause a lot of pain in dogs. For example, brain tumors can cause headaches, osteosarcoma (bone cancer) that occurs in the limb can cause limping and soreness, and oral cancer can cause pain in the mouth and the dog may drool excessively due to the pain. 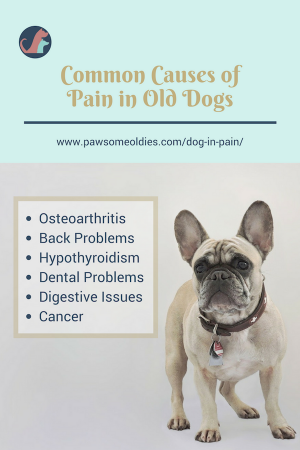 When your older dog shows some of the signs and symptoms of pain, get him to the vet immediately to get a proper diagnosis. Don’t guess. For example, as mentioned above, hypothyroidism can cause limping and soreness, and sometimes in an older dog, the signs may be mistaken as arthritis and treated (unsuccessfully) as such. If we deny our oldies a proper diagnosis and treatment, we are putting their quality of life at risk.